Automated test case selection for a new product in a product line is challenging due to several reasons. First, the variability within the product line needs to be captured in a systematic way; second, the reusable test cases from the repository are required to be identified for testing a new product. The objective of such automated process is to reduce the overall effort for selection (e.g., selection time), while achieving an acceptable level of the coverage of testing functionalities. 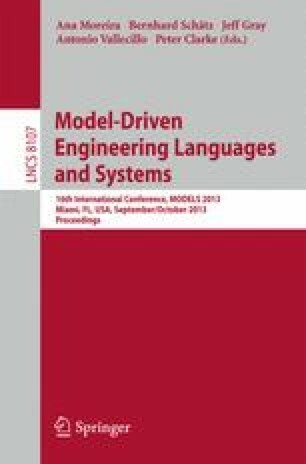 In this paper, we propose a systematic and automated methodology using a Feature Model for Testing (FM_T) to capture commonalities and variabilities of a product line and a Component Family Model for Testing (CFM_T) to capture the overall structure of test cases in the repository. With our methodology, a test engineer does not need to manually go through the repository to select a relevant set of test cases for a new product. Instead, a test engineer only needs to select a set of relevant features using FM_T at a higher level of abstraction for a product and a set of relevant test cases will be selected automatically. We applied our methodology to a product line of video conferencing systems called Saturn developed by Cisco and the results show that our methodology can reduce the selection effort significantly. Moreover, we conducted a questionnaire-based study to solicit the views of test engineers who were involved in developing FM_T and CFM_T. The results show that test engineers are positive about adapting our methodology and models (FM_T and CFM_T) in their current practice.